You may have heard of pop-up bike lanes, but a new city initiative is taking things one step further and using metal dividers to create temporary sidewalks in areas that badly need them. The city calls them adaptive sidewalks. Workers installed barriers, identical to the ones used for the cycle track, in Griffith Woods and 77 Street and 26 Avenue SW this fall, and are already eyeing three or four more spots. We’ve all had the experience. You’re out strolling the neighbourhood or maybe sitting on your front step on warm summer evening, then suddenly you hear a rumbling sound. Before you can turn around, some dipstick in a truck or on a motorcycle goes blazing down your previously quiet residential street at 10 or 20 kilometres over the speed limit. The unopposed passage in the Dáil this week of a law Bill (Jake’s law) to introduce a 20kph speed limit in residential areas is a measure of the support across all political parties for strengthening rules to promote road safety. The private members bill, sponsored by Sinn Féin Deputy Dessie Ellis, was prompted by the grieving parents of a young boy, Jake Brennan, who died after being hit by a car outside his home in a Kilkenny housing estate. Since this life-altering tragedy, the family have been campaigning to have 20kph speed limits introduced in residential estates. Such mandatory limits are not straight forward and the minister, in welcoming and supporting the principle of the bill, indicated he had instructed local authorities to examine and report on the implementation of the measure and for the Attorney General to liaise with the deputy sponsoring the bill on how best to progress the new law. The law as it stands sets a default speed limit of 50kph in built-up areas, but allows local authorities to set a limit of 30kph where they believe it is appropriate.The minister has been active in recent months in pressing for action by the local authorities and has ordered a review of speed limits and gave €2m funding to assist in this exercise. Complications arise, however, in what constitutes a “residential” road. Some residential roads are in fact substantial routes for traffic. So mandatory centrally-imposed speed limits would be inappropriate. Despite criticism, the minister was right to hasten slowly on this. One can imagine traffic chaos if overnight a national mandatory speed limit of 20kph was introduced. Local authorities are the best vehicle for changing the local speed limits, based on knowledge of the area and traffic flows, and not to mention business activity. The minister is to progress the principle of Jake’s law as this initiative and bill has been titled in the forthcoming Road Traffic Bill, which will shortly come before committee. Excessive speed was cited as a contributory factor in 15pc of all fatalities in Ireland in the period between 2002-2012; the economic cost to society of speeding- related collisions was estimated at €140m per year for the period. Of all motorcyclists killed, 25pc were in speed-related collisions. Of all private car drivers killed on the roads, 16pc were killed in speed-related collisions. Of these, 16pc were learner drivers. Of the 411 fatal collisions where excessive speed was a factor, 232 (56pc) were single vehicle crashes. Dublin, Cork and Donegal are the counties where the greatest number of excessive speed-related collisions occurred. Over the years, major improvements in road safety have been achieved as measured by fatalities and serious injury. The decade from 2002 to 2012, the same period as for those figures above, saw road deaths drop from 376 to 162, a reduction of 60pc. Such a dramatic improvement did not happen by chance. It involved improving road quality and setting higher standards for vehicle safety through NCT and commercial vehicle testing. Tougher laws on drink driving and mandatory alcohol testing were introduced. Penalty points, introduced in 2002, have proven to be both a deterrent and an educational tool. But the last two years have seen a regrettable rise in road fatalities. There were 197 in 2014. Although driver deaths were down, vulnerable road users such as pedestrians and cyclists were up. Four out of 10 who died in 2014 was either a pedestrian, a cyclist or a motorcyclist. Sadly, 16 children aged up to 15 years lost their lives, double the previous year. The Road Safety Authority (RSA) will be particularly focusing on vulnerable road users in the 2015 strategy and awareness campaigns. Elderly people and young children are those most at risk. Those aged over 60 accounted for 40pc of all pedestrian deaths. Eight children were knocked down and killed last year. That is why the proposal to reduce speed of vehicles in residential areas where children are playing is so important. The Department of Transport completed a speed limits review in 2013 in consultation with the RSA, NRA and the AA as well as the Garda Síochána and local authorities. The review was detailed and made special recommendations on speed, including proposals for what are called Urban Shared Spaces or home zones. These home zones would be a formal designation under the Roads Act and would attract a maximum speed limit. But that would still leave the issue of dealing with vehicle traffic and speed in existing residential areas not designed to that particular urban design model. The challenge now is to follow through on the principle of Jake’s Law. The move is in line with such limits fast gaining acceptance across EU cities, most recently Edinburgh and Milan. Speeding, both excessive and inappropriate, remains one of the main causes of collisions and of deaths and serious injuries on our roads. Four out of five penalty point events are for speeding. We are all offenders. If we as a society and as road users could just slow down by 15kph, we would reduce road collisions by 20pc. Small changes in our driving behaviour can make a huge difference and even save a life. If a car hits a child at 30kph, there is a 90pc chance the child will live. If hit at 50kph, the child’s survival likelihood is 50/50. If hit at 60kph, the chances are that the child will be killed. How about that for a New Year resolution worth keeping. Torstar News Service fileToronto has made a lot of effort to keep cyclists safe, including cordoning off cycling lanes from traffic. Reducing speed limits may be one of the biggest jumps the city could make. It’s time we stopped treating our neighbourhoods like speed bumps. We’ve heard a lot of bunk about the “war on cars.” People are frustrated by congestion and long commute times. Motorists recoil at any suggestion that they should slow down, share the road or be impeded in any way. As a result, we tend to value traffic flow over anything that might stand in its way — things like people. Now, the provincial government is considering reducing the standard 50 km/h speed limit to 40 km/h by amending the Highway Traffic Act. Coun. Jaye Robinson, chair of public works, told me her committee is already slated to reconsider speed limits in the first quarter of this year. She wants a case-by-case look at the issue, balancing safety with the need for traffic flow. But any reduction in the speed limit is bound to be met with wailing and blaring of horns from motorists. In 2012, Toronto’s chief medical officer Dr. David McKeown presented a report to the health board recommending that residential speed limits be reduced. The report showed the health benefits of a walkable, cycling-friendly city. It showed the cost savings associated with reduced collisions (measured in millions), and it provided evidence that reducing speed limits from 50 km/h to 30 km/h meant a 40 per cent decrease in the probability of a fatal pedestrian collision. Talk-radio personality Rob Ford called the idea “nuts.” Coun. Denzil Minnan-Wong, then chair of public works, accused McKeown of wasting taxpayers’ money on the report. The following year was one of the worst for traffic fatalities ever recorded. During the last election, Robinson found many residents concerned about pedestrian safety. Last summer saw the death of seven-year-old Georgia Walsh, hit by a van in a 40 km/h zone. Robinson said parents are driving their kids to school, just blocks away, because they are too afraid to let them walk. Let’s consider that: more car trips are being made because people are afraid of cars. If more people are driving because they are afraid to walk or cycle, this car-first mentality is actually contributing to congestion. Drivers are their own worst enemies, it seems. The best way to solve congestion is to take cars off the road. That means enticing those who can to walk, bike or take transit. People are often happy to make the switch, if they feel safe enough. More importantly, the health benefits associated with cities that encourage walking and cycling that McKeown reported are real and measurable. Let’s measure a lifetime of good health against making good time en route to the office. A 10 km/h decrease in speed is a small sacrifice. Reducing the standard speed limit in residential areas to 40 km/h is an idea that has “merit” and would almost certainly save lives, the city’s transportation chief said Monday, but it would be “cumbersome” for Calgary to do without provincial legislation.Citing “very, very clear” data on pedestrian fatalities, transportation general manager Mac Logan told council it’s hard to argue with the numbers.“The faster that the vehicle’s going that hits the pedestrian, the more likely they are to be seriously injured or killed,” Logan said. His comments came as council voted unanimously to ask the province to boost fines for speeding in residential areas, and Coun. Ray Jones inquired why the city doesn’t simply reduce speed limits, itself. That would be cost prohibitive and impractical, he added. Coun. Richard Pootmans said there have already been four pedestrians killed this year in Calgary and another 162 struck non-fatally, and speed makes all the difference between life and death. Calgary saw an average of 508 pedestrians struck each year from 2007 to 2011, according to police data. Nine pedestrians were killed on city streets in 2013, while 11 died in 2012 and six in 2011. The next time you spend an hour in stop-and-go traffic, go ahead—blame the drivers. Chances are, it’s their fault. And maybe yours, too. When traffic thickens on freeways, drivers often make decisions that worsen conditions. They speed up when they should slow down. They change lanes when they should stay put. They squeeze together when they should spread out. In effect, they leave no room to react. When something unexpected occurs, it leads to sudden braking, and what might have been a manageable slowdown becomes a miserable crawl or, worse, traffic grinds to a standstill. Once the flow of traffic is disrupted, the shock wave ripples backward, with driver after driver braking. Instead of progressing smoothly, traffic rapidly queues. The Federal Highway Administration estimates that 40% of all congestion nationwide can be attributed to recurring bottlenecks. The problem cost the country $78 billion last year in wasted time and fuel, according to INRIX, a company that studies the economic and environmental costs of congestion. Bottlenecks can’t be entirely eliminated, but they can be minimized. Solutions include variable speed limits that change in response to congestion, metered on-ramps that use traffic signals to gradually feed drivers onto freeways, and zipper merges which, when a lane is about to end, instruct drivers to use all lanes until a designated point then take turns merging. Essentially, the approaches direct drivers to go slower in order to go faster. Traffic engineers measure the capacity of a freeway by the number of vehicles per lane per hour. Under normal conditions, with traffic flowing freely, capacity is about 2,000 vehicles per lane per hour, according to Bernard J. Arseneau, director of traffic management systems for Omaha, Neb.-based HDR Inc. When traffic begins to slow, capacity initially increases because the density makes up for the reduced speed, and more of the tightly packed vehicles pass through. The benefit peaks at around 45 mph with about 2,200 vehicles per lane per hour. But at maximum volume, the system is vulnerable. Ideally, drivers should maintain a steady slower speed, avoid unnecessary lane changes, which induce braking, and lengthen the gaps between vehicles to allow for adjustments. But left to their own devices, drivers are more likely to jockey for position. Some change lanes or race forward to cut in line. Others counter by tailgating or straddling lanes. Once freeway traffic drops below 45 mph, vehicles begin to queue, and capacity drops to about 1,600 vehicles per lane per hour. The reduction of 400 to 600 cars per lane per hour is significant. “You end up with stop-and-go congestion,” Mr. Arseneau said. To help drivers make better choices, state departments of transportation employ various techniques. Minnesota uses the zipper merge, often in work zones when a lane is dropped, and the technique is taught in the state’s drivers education manual. Zippering doesn’t hasten traffic, but it makes merging more orderly, and it significantly reduces queue lengths. “The length of the backup gets reduced by up to 40%,” said Ken E. Johnson, a traffic engineer with the Minnesota Transportation Department. Variable speed limits slow vehicles before they begin to queue. Georgia, for example, recently implemented variable speeds on I-285 in Atlanta to reduce congestion. There, depending on road conditions, the speed, posted on electronic signs, may vary from 35 mph to 65 mph. Ramp meters keep freeway traffic moving by controlling the volume of merging traffic. In 2001, Minnesota turned off 430 ramp meters for six weeks and studied the effect. Among other things, the researchers found that freeway volume decreased by 9% and travel times increased by 22%. It is a tall order that the engineers acknowledge is counterintuitive. More cities are lowering traffic speed limits, but does it actually make roads safer? After the 12-year-old boy in her neighbourhood was killed by a sport-utility vehicle, Jodi Morel started to do the math. And tragic mathematics it was. As a member of the traffic committee in her Calgary neighbourhood of Mount Royal, Morel was called to the scene of the collision. She learned the driver was not speeding, but the vehicle was on a street with a 50 km/h speed limit and still had enough force to kill. Later, Morel found research showing how deadly a vehicle becomes the faster it is moving, like in the chart below. Being hit by a slower moving vehicle increases the chance of survival. While as many as nine out of 10 pedestrians hit at 20 km/h will survive, for example, at 60 km/h — a speed Morel figures is close enough to the speed limit that few speeding tickets would be issued — as many as 90 per cent will die. There are plenty of other people talking about the idea too. Many jurisdictions around the world are reducing speed limits in a bid to reduce the number of automobile deaths. 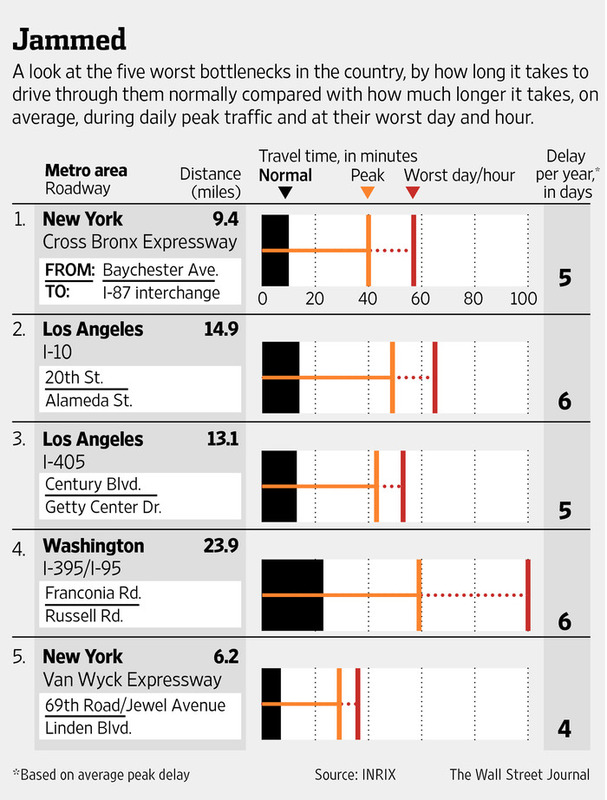 New York City is in the midst of lowering its speed limit to 25 mph (40 km/h) from 30 mph. London drops to 20 mph (32 km/h) on July 20. San Francisco is looking at the same. Even Airdrie has a default speed limit of 30 km/h on residential roads. (Notwithstanding the B.C. government’s recent decision to raise speed limits on a few highways). While the idea makes intuitive sense — slower-moving vehicles equate to less carnage on the human body — there’s the bigger question: Does it actually work? Do lower speeds make roads safer? The answer seems to be a resounding yes, albeit with a few caveats. Dr. Don Voaklander, a professor in the school of public policy at the University of Alberta, says there are plenty of studies that show slower moving vehicles not only reduce fatalities, but result in fewer accidents as well. He cited one study that found every one per cent reduction in speed resulted in a two per cent reduction in traffic incidents. Those caveats, however, are big ones. There’s no guarantee drivers will blindly obey reduced speed limits. Speeding is a problem today, even with a 50 km/h limit. So Voaklander says enforcement of those limits is key, especially on those wide suburban residential roads in which drivers feel safe going fast. So if lower speed limits are such a no-brainer for safety (and a host of other reasons, from improved street life to reduced pollution), why isn’t it being done? In Calgary, there are jurisdictional considerations — a blanket change to default limits in Calgary would require a change by the provincial government — but reducing speed limits is rarely supported by drivers. Despite speed being cited as a problem in some polls by 70 to 80 per cent of community members, there’s a lack of both political and societal will to change them. Nobody, it seems, wants their commute slowed, and such debates tend to pit commuting voters against voters living in those communities being driven through. The benefits and disadvantages of lower speeds are not perceived in the same manner by individuals and by the community as a whole. The societal consequences of road accidents are well known, and excessive speed is a major contributing factor. However, for an individual driver, the risk of being involved in an accident is relatively small and the driver therefore rarely experiences the worst safety consequences of excessive speed. The more journeys a driver completes successfully at a higher speed, the more the notion that high speeds are safe is reinforced….This contradiction between societal and individual consequences makes it a challenge to create sound speed management. So how is that sentiment combated? Voaklander says just as important as enforcement is education about the dangers of speeding and the benefits of the reductions. It can be a slow process, but it may be the only solution. Few people think reduced speed limits are a panacea. But paired with education, traffic calming initiatives and enforcement, they can help make roads safer. Public sentiment seems to be swinging in that direction. Voaklander pointed to a recent plebiscite in Morinville, north of Edmonton, in which residents voted to keep photo radar because of concerns about safety, a result he wouldn’t have expected in the past, when we were more blase about traffic injuries. Jodi Morel, for one, vows to keep raising the issue in memory of the boy killed in her neighbourhood. A total of 40 people were killed on city streets in 2013, up 39 per cent from the previous five-year average. A growing number of community leaders are calling for lower speed limits as newly published data shows Calgary streets were nearly twice as deadly as Edmonton’s last year. Calgary police recorded 40 traffic fatalities in 2013, marking a 39-per-cent increase from the annual average over the previous five years, according to a report to be presented to members of city council this week. Edmonton, by contrast, saw 23 people killed, representing a 16-per-cent decrease from the previous five-year average in that city, according to a report published earlier this month. The spike in Calgary fatalities comes despite no significant change in the total number of collisions in 2013 compared to the five-year average. Impaired driving offences were also down more than 15 per cent during the same timeframe. For Mount Royal resident Jodi Morel, the numbers add up to one thing. “I think speed is obviously a factor,” she said Sunday. “When you’re looking at the same number of accidents, the only real variable is how fast these people were going when the collision occurred.” Morel has been campaigning to reduce the standard speed limit in Calgary’s residential areas from 50 km/h to 40 km/h, citing international evidence she says clearly shows a “huge” difference in fatality rates. A bill that would allow New York City to lower its speed limit to 25 miles per hour was approved by the state legislature. The measure, backed by Mayor Bill de Blasio, would reduce the limit in most areas from 30 miles (48 kilometers) per hour and was passed yesterday. More than 250 people are killed and almost 4,000 seriously injured in city traffic crashes each year, according to a memo by the bill’s sponsor, Senator Jeffrey Klein, a Bronx Democrat. “Slowing down by even five miles per hour is going to save lives that otherwise could have been lost in senseless traffic accidents,” Klein said in an e-mailed statement. Rich Azzopardi, a spokeswoman for Governor Andrew Cuomo, declined to comment on the measure. De Blasio, 53, took office in January as the first Democrat to lead the metropolis in two decades. Lowering the limit is a key component of his Vision Zero plan to end pedestrian traffic deaths, which also includes public outreach and enhanced police enforcement. In April, the legislature approved his plan to add 120 speed cameras in school zones. Lowering the limit to 25 mph would reduce the chance of fatalities in accidents involving pedestrians to 10 percent from 20 percent, the memo said. Vision Zero is modeled on a program in Sweden, where a law adopted by the parliament in 1997 sets the goal for traffic fatalities at zero. Since its adoption, traffic engineers have reworked roadways to limit the danger of human error and traffic fatalities have been cut in half, the New York Times reported last month.